The Dynamic 25 Scan houses an efficient 25W CREE LED light source, giving an output that will easily outshine a traditional 250W ELC lamp. 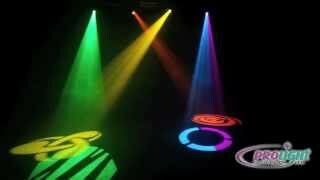 Featuring 8 static gobos and an independent colour wheel, the Dynamic 25 Scan can be operated in DMX, sound active and master/slave modes. Simple control solutions can be provided when using the optional CA-8 or CA-9 controllers, which offer blackout, strobe and programme access functions. 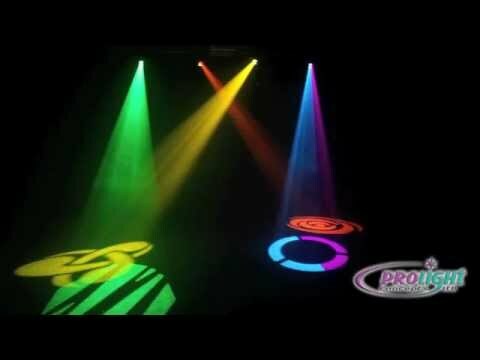 Each scanner is provided with a manual lens for focusing the beams from its gobo wheel featuring 8 gobos + open and separate colour wheel with 8 colours which produces sharp projected images. Although the light source is only 20 Watts, the optics mean that the output is deceivingly bright. Considering purchasing the Acme Dynamic 25 Scan? Have questions? Ask people who've recently bought one. Do you own the Acme Dynamic 25 Scan? Why not write a review based on your experience with it. wow cant believe how bright they are over there 250watt bulb brothers, they leave them standing. very good, compact, fast scanner. Vibrant colours and makes every setup look great!!! Highly Recommend!!! A Lovely compact scanner, that offers so much brightness and a great set of colours for the size of the fixture. Seen a video for Acme Dynamic 25 Scan online or have you own video? Check out Acme Dynamic 25 Scan on DJkit.com!